Black high-tech* ceramic & Steel. Flange set with 32 brilliant-cut diamonds (0.27 ct) . 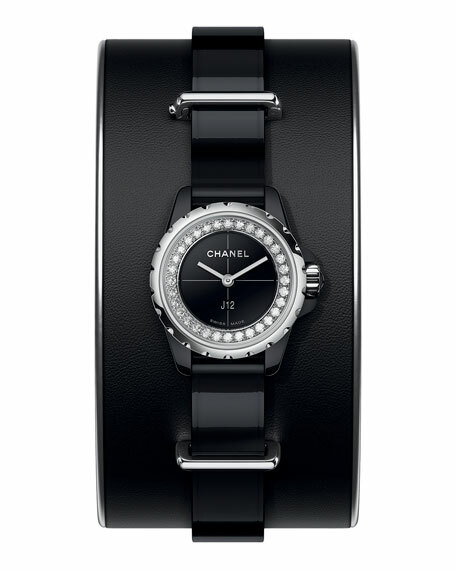 Black lacquered dial with rhodium-plated hands. Black matte calfskin cuff, black patent calfskin strap with steel ardillon buckle and loops. * High-technology. Highly scratch-resistant material. For in-store inquiries, use sku #2021685.